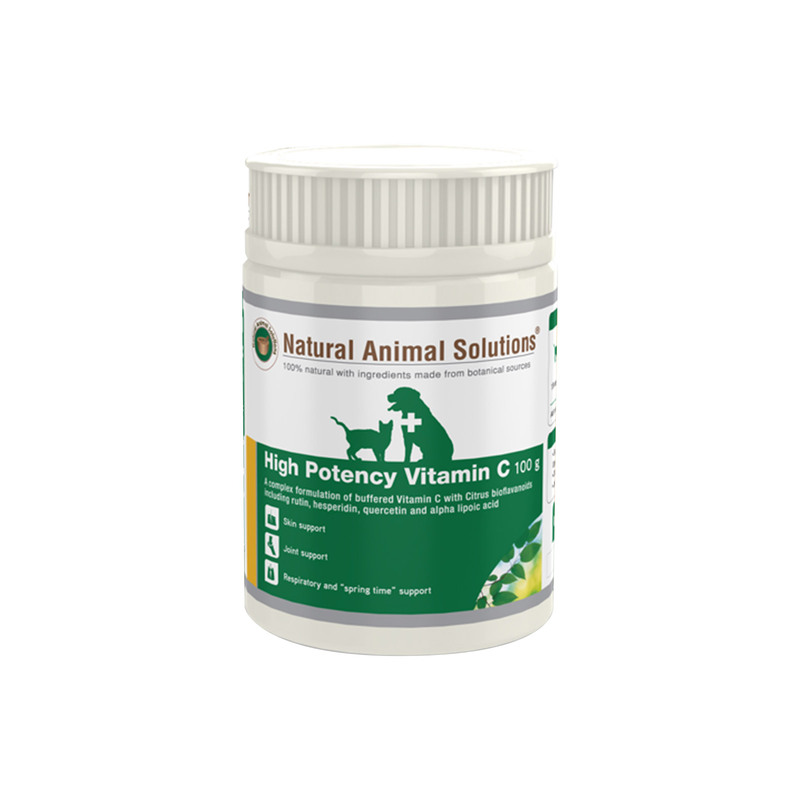 Natural Animal Solutions High Potency Vitamin C powder is a potent natural supplement for dogs, cats and horses. It is a blend of finest Vitamin C sources. This complex formulation made through natural sources supports the immune and respiratory system. It helps in smooth bowel function, aids in skin repair and maintains joint health. This scientifically developed product ensures high absorbency rates and supports pets overall health. Natural Animal Solutions High Potency Vitamin C powder has wide range of essential nutrients. With extensive range of antioxidant effects, this oral supplement supports health and well-being in numerous ways. Vitamin C supports in maintaining healthy skin cells and aids a healthy immune system. The other core ingredient Resveratrol combined with alpha lipoic acid further aids to the antioxidant effects of Vitamin C.
For a therapeutic treatment double the recommended dosage after 1 week. These supplements are loaded with high levels of vitamin C which is really essential for my pet’s health. A potent natural supplement! My pooch had lost the zeal in life and was not at his playful best. I tried everything but to no avail. Then my sister recommended this product. The results have been amazing. He has become extremely agile and fit. He is playing again. His overall health has improved. Even his coat has become shiny. A highly recommended product!!! My 7 year old furry pal was suffering from diabetes since last few years. He was losing weight drastically. I started giving him these supplements since last six months and the results have been amazing. Now my doggy is slowly but gradually gaining weight. It is the vitamin C in the supplement that is doing the wonders. Thank you so much!! !